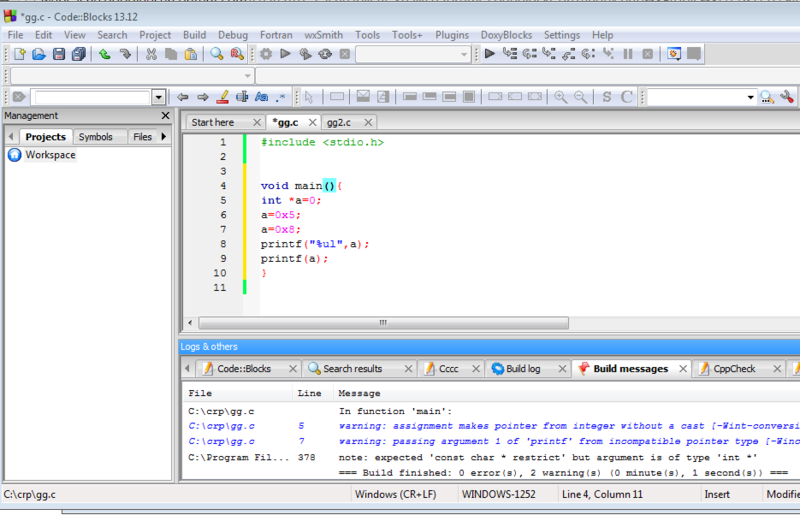 Why would codeblocks's build and run button be greyed out instead of green? 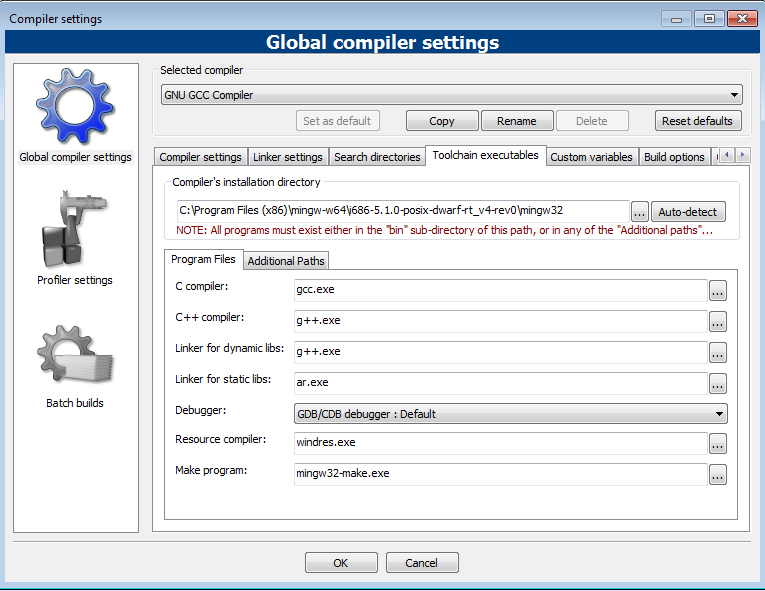 if relevant, here's settings..compiler, toolchain tab. Obviously there is build log, so you've been able to build at least once. Can you reproduce this reliably after an restart of C::B? I suggest learning to use CB Projects before doing much more work. I had the same issue initially. During setup, the final default box will give you 4 options 2 yes, and 2 no (take the next part with a grain of salt i'm recalling the verbage from a foggy memory) a default setting not recognize the word blocks as C++, i chose no(...) which, which for some reason wouldn't allow me to Build and Run more than once. After restarting the program I chose one of the default settings as yes (...) and the problem went away. I don't know if this is the solution, but this was my way of 'fixing' the issue.